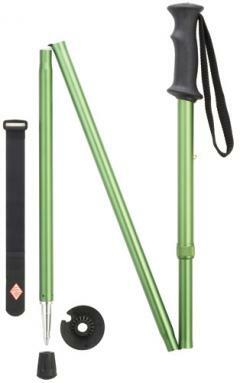 Three section hiker - Walking Canes for Men and Women - 1001Shops Co. The backcountry hiker is a must for camping or an excursion. 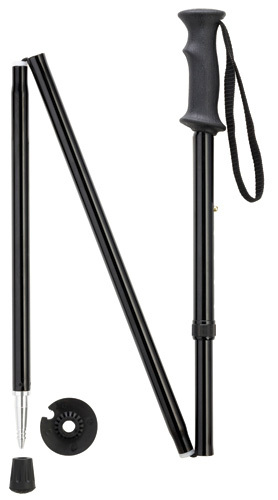 The Black powder coated, three section hiker, is designed for the hiking enthusiast because it is light weight and compact size for backpacking. Features: Adjusts from 50"-54" in one inch increments Folded length is 18" Weight - .85 lbs Ice spike on bottom with rubber tip cover for hard surfaces Aluminum anti rattle nut which won't crack or break Rubber grip with hand strap Velco strap to keep folded length secure.